Caltanissetta has a very sketchy history; nothing about the area is documented until the Norman conquest in 1086, although Bronze Age relics have been discovered, indicating human settlements that go much further back in time. Some historians believe the city was founded by Greeks; others say the Arabs founded the city. Some indications of early settlements from both cultures have been found, Because of its inland location and rugged terrain, the majority of Caltanissetta was of little interest to many of the conquerors who had dominion over the island over the centuries. The city of Caltanissetta began to expand beyond its walls in the 15th century; it was declared the provincial capital in 1818. Because of its moutainous location, the province of Caltanissetta experienced an explosion of growth in the late 19th and early 20th centuries, as its mining industry boomed in the face of demand for metals and sulphur. 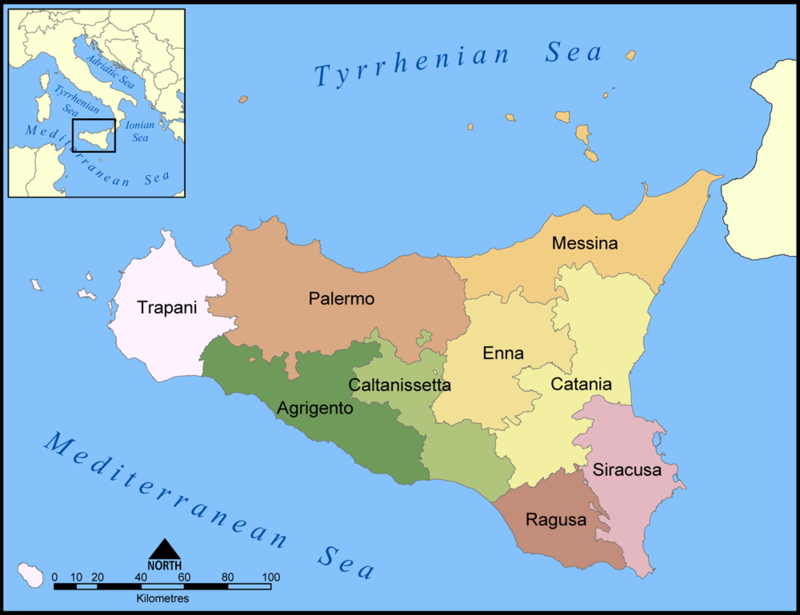 Only a small part of Caltanissetta is on the coast, so seafood is not as important to the diet there as it is in Siracusa or Trapani, which are primarily coastal. Chicken and pork dishes abound in the diet of Caltanissetta. The people of Caltanissetta are called Nissena, so dishes from that area are frequently designated alla Nissena. The fertile farmland also provides many wonderful vegetables and grain crops; Caltanisetta is a center for the production of cereal grains and almonds. Mostly agricultural, the province of Caltanisetta does not have the range of architecture present in some of the more populous provinces. There are some beautiful Medieval churches within the capital city. The ruins of Pietrarossa Castle, a Saracen castle expanded by the Normans, are on the edge of the city of Caltanissetta as well.